Late last week we saw the latest poster for The Imitation Game. Whist having a drink with an old friend we were talking about the film and the new poster and the way that he thought that Benedict Cumberbatch didn’t look anything like the person he was playing. 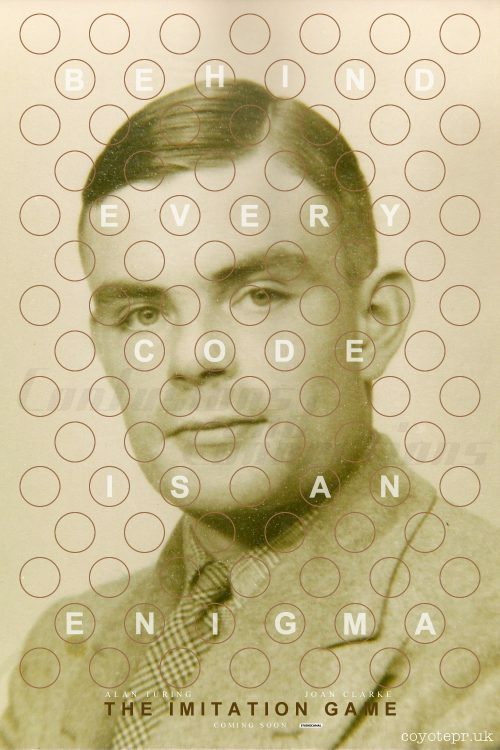 As he was annoyed with the poster, I decided to find an images of Turing and make a more historically accurate version of the poster using the man himself. The stars of the film have been changed to the people that our two principle actors are playing. Alan Turing and his colleague, girlfriend and fiancée Joan Clarke.